It’s fun, when feeling particularly nihilistic, to think that things have never been this horribly commercial or trite in the world of cinema. In certain ways, it’s just more overt and honest than it ever was. The point of saying this is that, though the landscape is different and more cluttered with product-films, many of the same issues persist. Steven Spielberg is no stranger to blockbuster hits. As a director who makes many a big film he has not been immune from certain struggles and realities. Sure, he’s long been one of the most powerful people in Hollywood, but only when Spielberg launched DreamWorks did he really reach a new level of clout. For years Spielberg had been pestered for a sequel from Universal. It could have been E.T., which they were asking for. When Jurassic Park set the world on fire, and it too was a Universal project he agreed that there would be the sequel. In that light, it’s a good compromise for that reason if for no other. Even factoring some things about the film that’s the best thing that came out of it could be no sequel to E.T. However, even with that, and the fact that when this film came out it had the unique distinction at the BAMs of being chosen as the worst film of the year, while still being the best in regards of scoring and effects; in terms of the science fiction and its place in a larger franchise there are interesting things that bear noting besides the fact that it was a memorably painful theater-going experience. When planning to continue a science fiction series you have to look for new mysteries to unravel and new theories to float; in short, new tricks. A few of the old favorites are back. We have the introduction of a second island, Site B (Isla Sorna). At this location dinosaurs were developed before being brought over to Isla Nublar, then Isla Sorna was hit with a hurricane that wiped out the facilities, the dinosaurs were then free and left to live & do their own thing. As per the Lysine Contingency, there should’ve been no way for the dinosaurs to live. But “Life finds a way,” the mantra Dr. Malcolm uttered reverberates throughout the films no matter how far or close he is to the action. What happens here is that the herbivores survive on the lysine-rich foods and then the carnivores eat them, this theoretically provides them the lysine necessary to sustain life. It’s unspoken but the amphibian DNA factors in here as well as there is breeding afoot. So these are the things necessary to create an environment wherein it truly is a Lost World, hearkening back to the Arthur Conan Doyle story. Here in the modern age, with the help of genetic engineers, are newly created dinosaurs on an island that was devoid of human life. What’s also interesting is that this series never shies away from introducing new nuanced paleontological debates and talking-points. 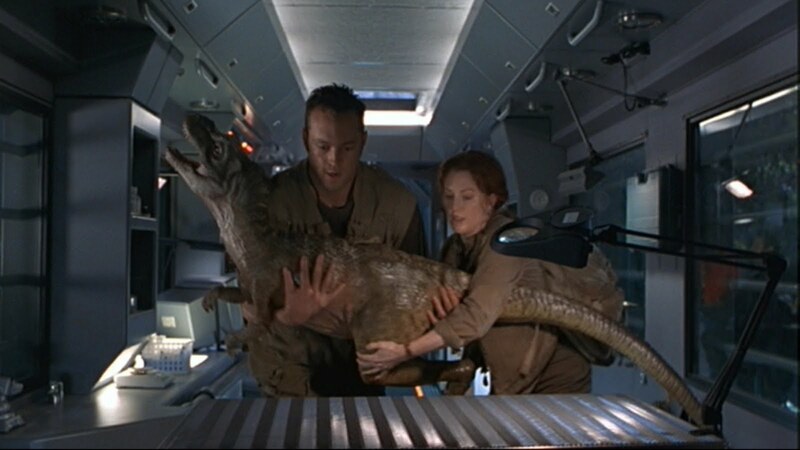 Of note and relevance in this film, are debates being settled on the parenting of dinosaurs (the two camps always arguing between a more nurturing, mammalian sensibility of a more laissez-faire or cruel, by human standards, fend-for-yourself approach), and also the territorialism that dinosaurs display here that factors in. 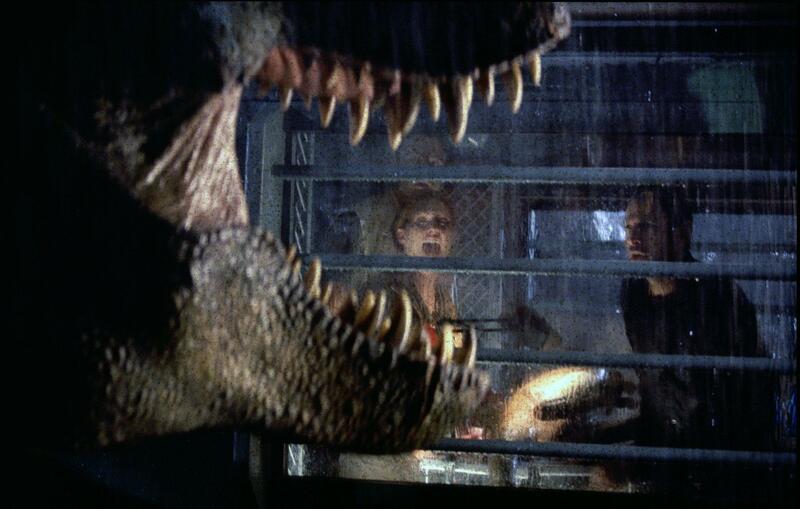 Introduced in this film are a few dinosaurs including the Pachycephalosaurus, called Pachies here as well, though not causing any hubbub back then – a bit more on that later where it’s more pertinent. Much of the issue here is not Chester’s actual performance. In the first film, Tim (Joseph Mazzello, who only makes a token appearance in this film) was supposed to grate on Grant with incessant questions, maybe the fact that he seemed and sounded quite a bit younger than his older sister made him come off to some as more bothersome. In my estimation, Richards (who also makes a token appearance) was the biggest casting concern in the original. Here it is sadly Chester but upon review it had less to do with her and more to do with the character the stowaway plot plants the seed in the audience’s mind that “You’re not wanted here.” It’s far too easy keep that momentum up especially for an audience that’s reeling with changes: Hammond isn’t running his own company as much as his son is, InGen ousted him from the Park in an official capacity, Malcolm’s flying solo, Grant and Sattler aren’t there, there’s a new island (a fact which never seemed to be as harshly scrutinized as the second SETI location in Contact), and now a random kid along for the ride that shouldn’t be there, and more. It just sets itself up for her to be a scapegoat in certain regards though there are far greater issues here. Some of the debates brought up are interesting but they do not support a compelling, visceral drama you have the battle of hunters on safari versus the scientists, which is an extension of the preservation of wildlife versus the notion that indiscriminate mass killing is an extension of survival of the fittest. Those on the hunting side of the fight state that “An extinct animal that has been brought back to life has no rights,” these exact sentiments will be echoed in Jurassic World to great effect. Similarly the barb “Predators don’t hunt when they’re not hungry” is damning both a game hunter and a hybrid that acts more like a human would given those irrepressible predatory capacities. It’s quite nearly redundant to have a “Really?” section in a film where I’ll touch upon this sentiment probably under every heading but a few are noteworthy. The hubris and bad decision-making on the part of humans running this dinosaur enterprise is a given, however, even that has its limits. The notion of transporting the dinosaurs is just one in a laundry list of bad ideas in this film. Hammond acknowledges mistakes were made in the past but Malcolm correctly cites “You’re making brand new ones.” His agreeing to go to this new island is really just a rescue operation to save his girlfriend (Julianne Moore) from being in harm’s way. 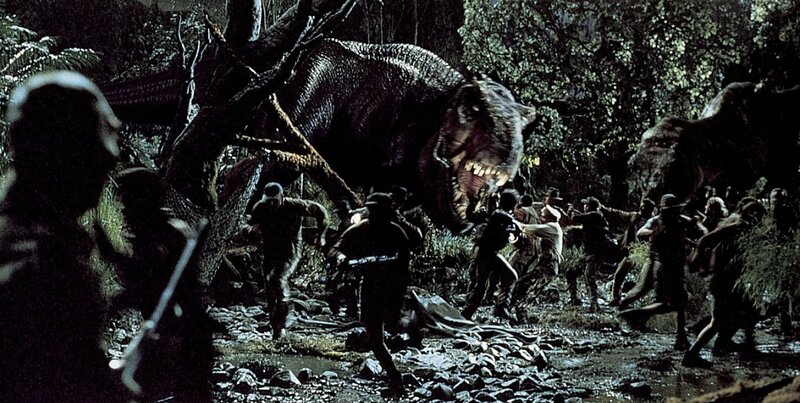 She’s there as Hammond’s liaison to study the animals an interfere with InGen’s designs ultimately. One thing that is brought up but never really comes back into play, not in the films anyway, and I don’t know if Crichton expounds on this in his novel: This film introduces the notion that Sorna and Nublar are part of an accursed island chain of the coast of Costa Rica referred to colloquially as Las Cinco Muertes, the Five Deaths in English. Does Hammond or InGen have a claim on all of them? If all goes well could there eventually be five parks like at Disney World? Another serious concern in hindsight is that fact that Hammond, after the latest deaths and catastrophes states on national television that he has had a change of heart. ”Preservation and isolation” is the new goal of the islands. Furthermore, “If we trust in nature life will find a way.” How is that philosophical gap bridged between Hammond the sudden naturalist to the dying man who asked a good friend to do right by the original intention of the park? The other curious thing is that the explanation of Site B seemed odd. There were dinosaurs being hatched on Nublar, so why Sorna is an incubation site is only partially explained. Yes, isolating at first may be a benefit if things go wrong it never affects the main park, but transport is fraught with concerns as this film proves. Before I continue to beat the dead horse that this film is I may as well take a respite and discuss the things that work, even if briefly: John Williams’ score is the best part by far, there are some Spielbergian touches that worked that I forgot about: visually the blood in the waterfall is very cool and the shipwreck is a well-staged action set-piece. 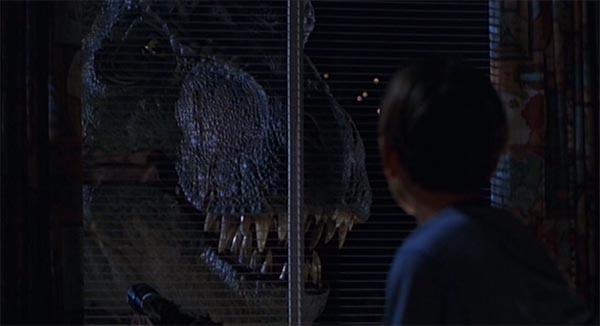 Perhaps, the best combination of comedy and horror in the film is the T-Rex being visible from the little boy’s (Colton James) window. While I always appreciate to tongue-in-cheek joke of a dinosaur running amok around a gas station it does slow things and it only otherwise noticeable because it’s a pretty big instance of product placement (76) that no one ever talks about, but more on that later. At least Spielberg avoided excessive CG and cited an example from Lost World where he talked about more not always being more. 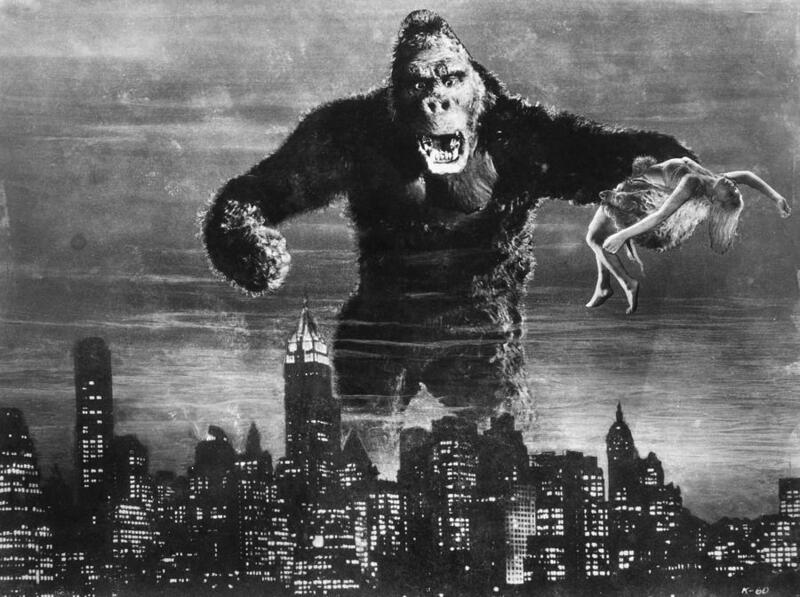 There was sufficient King Kong reference in the first film without rampaging T-Rex thru a major metropolitan area. Then you add the shot where at the start only running, screaming, Asian businessmen recalling a Godzilla film and it just becomes too much. Aside from the fact that this illegal capture to take an animal to a zoo is like something right out of Tarzan in the first place. When you add this over-reverence to the aforementioned issues it’s doomed to fail, but wait there’s more! There seems to me a more overt, forced attempt at comedy in this film that falls so flat. At the very least it didn’t present the ill-fated combination of not being terribly funny and being impossibly, incessantly loud like 1941. The film also lacks equilibrium. It’s all chase or hide all the time in much closer confines and with nothing else really buoying the action, no further plotting or intellectual intrigue upping the interest beyond simple life or death for a handful of characters we just met and barely know, barring Malcolm. Even if you were cool with Kelly’s handy use of gymnastics it was foreshadowed clumsily and rather tepidly followed up with an obligatory one-liner. The InGen teams arrival slows the progression of the film to a halt when it had barely gotten going. Getting going is made harder when you don’t really know these new people and those you do know aren’t there as much. Ultimately, this film fails almost everywhere sadly. 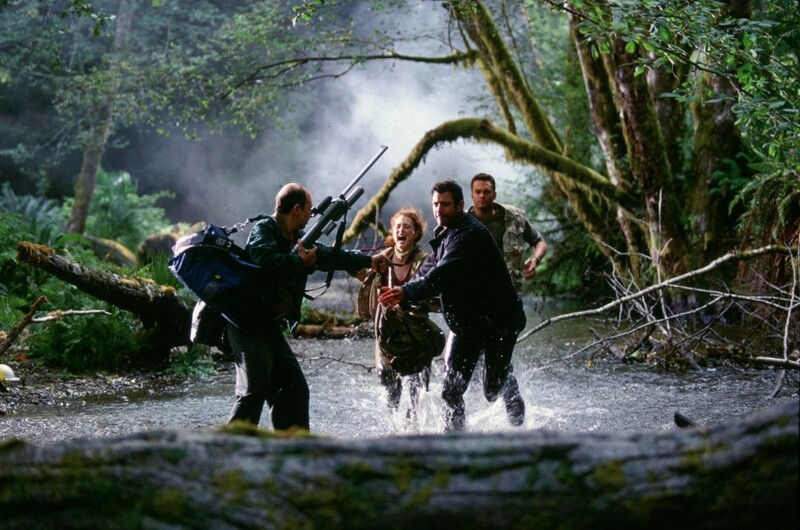 Between Lost World and Jurassic Park III two noticeable things happened. 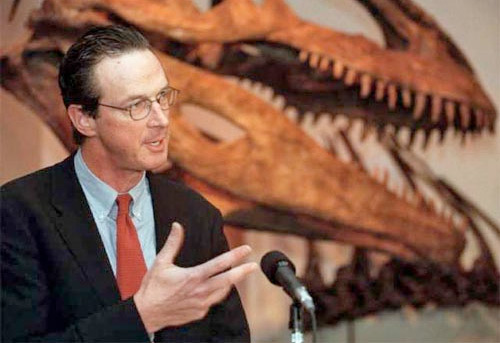 First, there was the death of Michael Crichton at too young an age. The film sequel happened because, in large part, he wrote a sequel to the book. 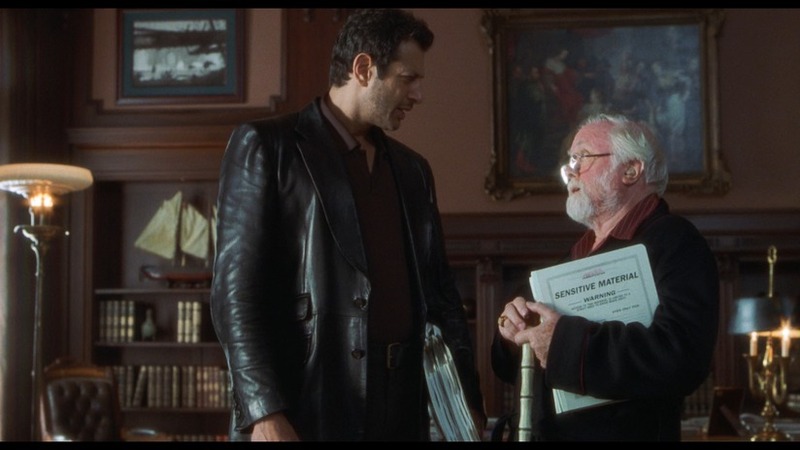 Any further installments would all be breaking new ground and would not be part of Crichton’s canon. Spielberg in this time would become more heavily involved in pushing DreamWorks forward; and following The Lost World he was taking on some of his most ambitious projects: first, Saving Private Ryan and then Artificial Intelligence: A.I. Clearly, he was past a point of feeling the need to direct a sequel. So much so that he’s even planning series with him stepping out after the first film. Spielberg broke ground personally directing animation and with the most convincing motion capture to date on the first Tintin film but the plan was always that Peter Jackson would do the second film. Now, if there are more does Spielberg return? Possibly but for now there’s no guarantee of that. So with a few years off, the loss of an author, and a new director at the helm the slate was essentially wiped clean for the Jurassic Park franchise. There were givens in place but they could go almost anywhere.